History has been made once again in North Miami Florida, Haitian-American Lucie Tondreau has just been voted the first-ever Haitian-American female mayor of North Miami. 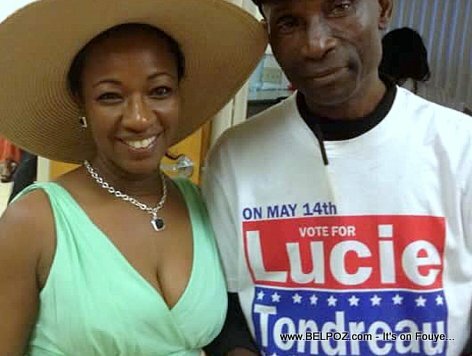 Lucie Tondreau is the third Haitian-American Mayor of North Miami. She defeated Kevin Burns with 55.7 percent of the vote in a special election to replace Mayor Andre Pierre, himself the second Haitian-American to become Mayor of North Miami, who could no longer run due to term limits. Note: The first Haitian-American elected as Mayor of North Miami was Josaphat "Joe" Celestin. « Haiti Prime Minister Laurent Lamothe, What do you think about him? I wish you all best and success as a N. MIAMI's mayor.